Around 70 birds and a dog have died mysteriously at Wanstead Flats. Dressing up as a Nazi and sending racist messages is not a good career move for civil servants. Wimbledon Dogs has re-opened after a refurb. The 2012 footie season is to start a bit later to avoid an Olympic clash. Win a 'human egg' in a bizarre raffle to promote IVF. We like maps, but we're not in the same league as this Crouch End guy and his 5' atlas. 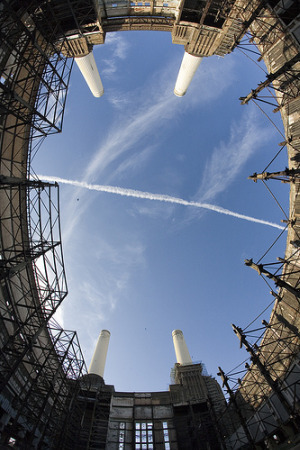 Awesome view of Battersea Power Station by FJC37 via the Londonist pool.